You are going to just love this adorable stamp set. 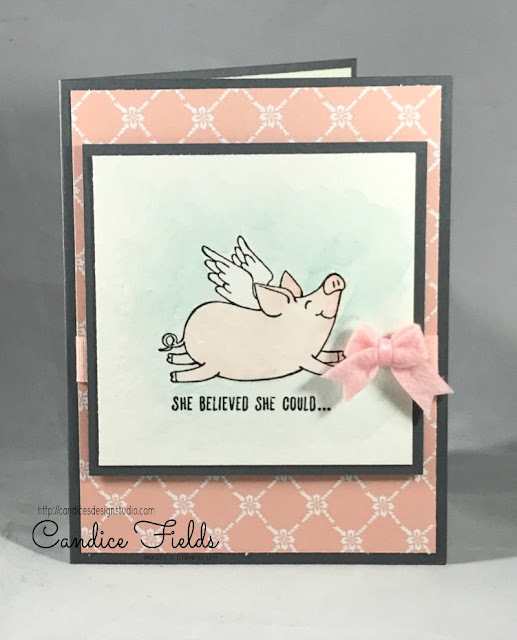 This Little Piggy joins our collection of animal stamp sets and the sentiments are amazing. For this card, I decided to add a watercolor wash in the background to give the appearance of the pig flying in the sky.